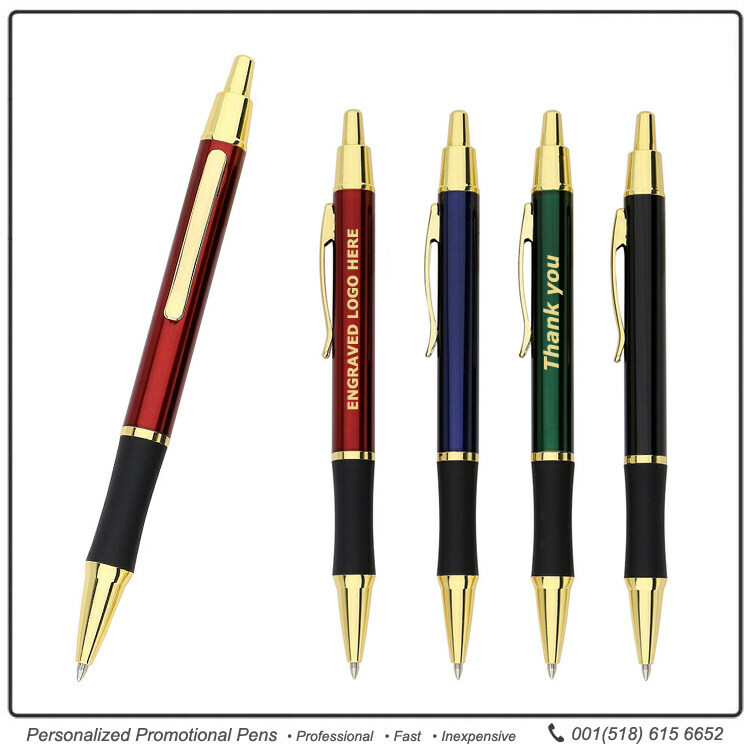 Professional and stylish, that's the image the Ambassador pen will help project for your business. Shipping Weight: 1000 units at 42.5 lbs. Start strengthening the alliance between your brand and your customers by handing out the Ambassador Gold Pen from JAVPENS This high quality promotional pen will make them excited to sign everything from contracts to trade agreements! 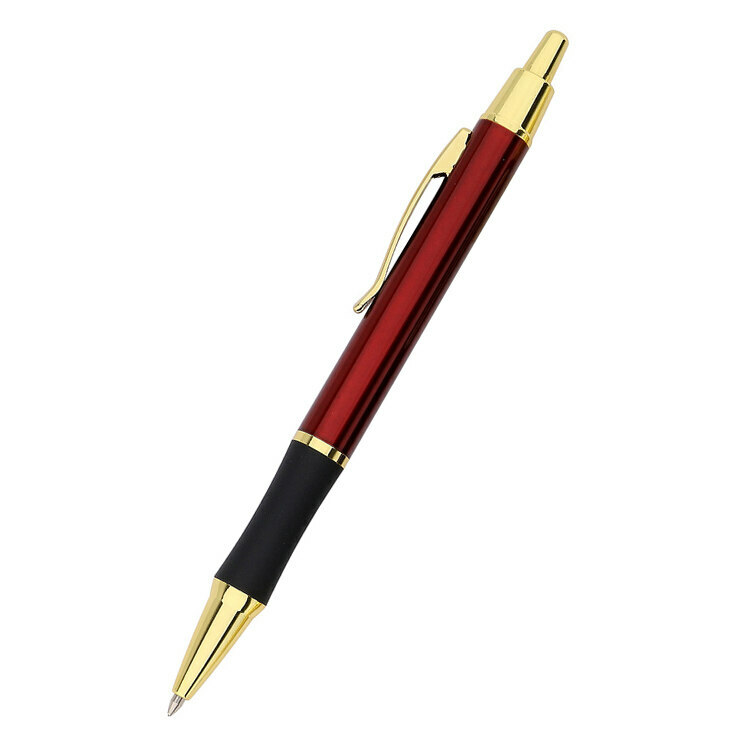 The Ambassador Gold Pen features a shiny colored barrel and sturdy clip. It also offers a generous imprint area of 1 3/4" x 7/32" perfect for a logo, name, and contact information. It's tough to find a greater pen for a lower price, and no other pen would look as impressive in a pen cup or pocket! The signers of the Declaration of Independence or the Treaty of Paris themselves would've been overjoyed to have such a pen! 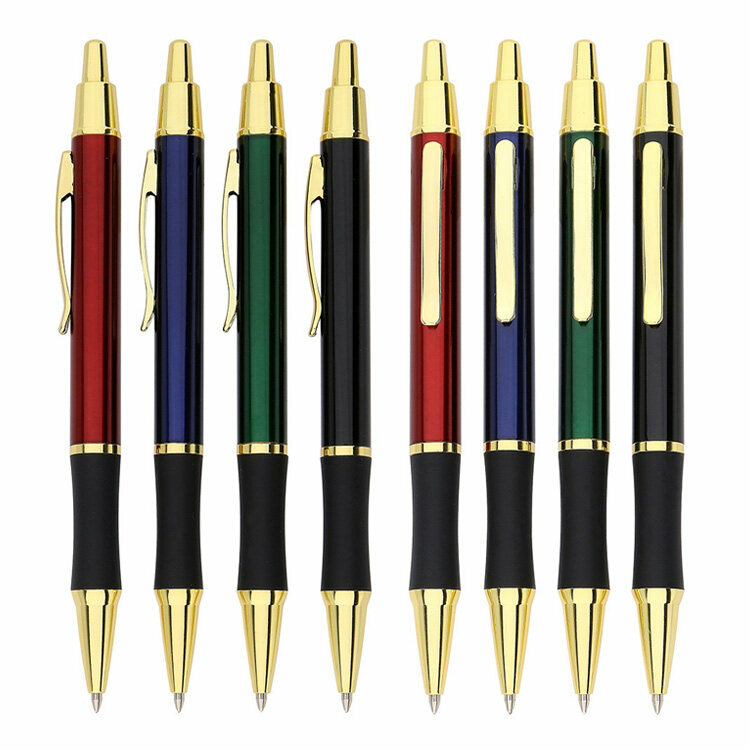 Order Ambassador Gold Pens from JAVELINPEN today and spread some promotional good will! Pens arrived on time. Engraving was done correctly. All of them worked! I truly love the pens. My only concern is that they unscrew very easily. That is my only concern. Thank you. Exactly as I hoped. The gift recipients (EMS personnel) are pleased with this "cool gift". This was my first order from SISI. The product is great and exactly want I ordered. Arrived on time for our event. Great job! Looked great and writes nice! Thanks for the opportunity to provide my Chalkboards couture team a fun way to stay focused!